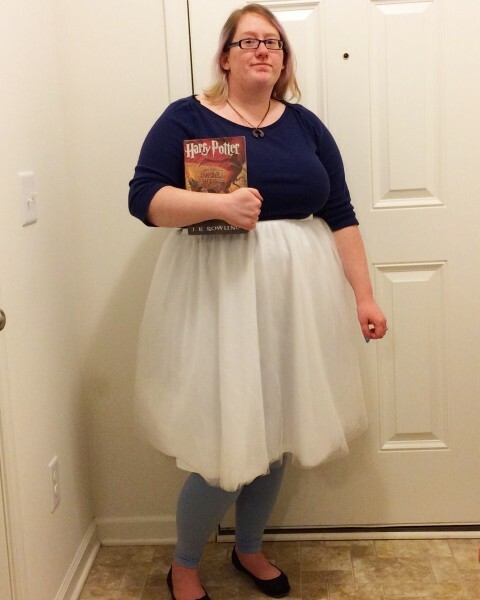 Geeky Fashion Challenge - Fatshionista! Top from Old Navy, bronze necklace from a local artist, skirt from Charlotte Russe, leggings from LuLaRoe, and flats from Payless. This outfit is inspired by Ravenclaw house, from the Harry Potter books!